This week I’ve chosen “Cathedral” by Adam Fitzgerald, from his debut collection The Late Parade. To write about one thing, you must first write about another. you must first speak of the Hồ Chí Minh Dynasty. you must first be blind, and understand fencing. in the pinched, early blue bowl light of dawn. racket clubs, and the general way of the world. You go out for coffee. You come back another person. When I first read Fitzgerald’s poem, it was nine lines hiding a triumphant ending: “You go out for coffee. You come back another person.” Those two sentences give me great joy. It’s true that we change a little all time: there are new Alexes every other day. But it’s also true that change can hit you all at once. One afternoon two years ago, I was literally going out for coffee, having washed ashore at my parents house after great tumult. Waiting for my latte, I briefly had nothing to do—and for once, nothing to worry about. It struck me that I was experiencing a new feeling; for a moment, I had no language for this strange emotion. Then I realized it was simply calm—and that I hadn’t felt calm in years. I’ve warmed up to the first nine lines. At first my brain argued with the idea that you can’t just write about a subject straightforwardly; King Charles V has a Wikipedia like anyone else. But if Fitzgerald wanted to build a rational argument, he would’ve written an essay. And it’s true that we never actually know what we know: the only hope for context, for evaluation, is the next new bit of information—and the next one, forever. The idea of a blind person fencing is poignant. What do blind fencers know about the moon? Somehow, being forced to approach perception from this novel angle leaves me with new moon-feelings. Fitzgerald writes, “I understand discomfort.” Here he feels human to me, perhaps in contrast with the professorial digressions that come before. The funny thing about “Cathedral” is that it’s the only poem Fitzgerald has written that I’ve felt I can grasp; in others, my confusion makes me resistant. Huge thanks to Adam Fitzgerald for permission to republish his poem! BUY HIS BOOK. 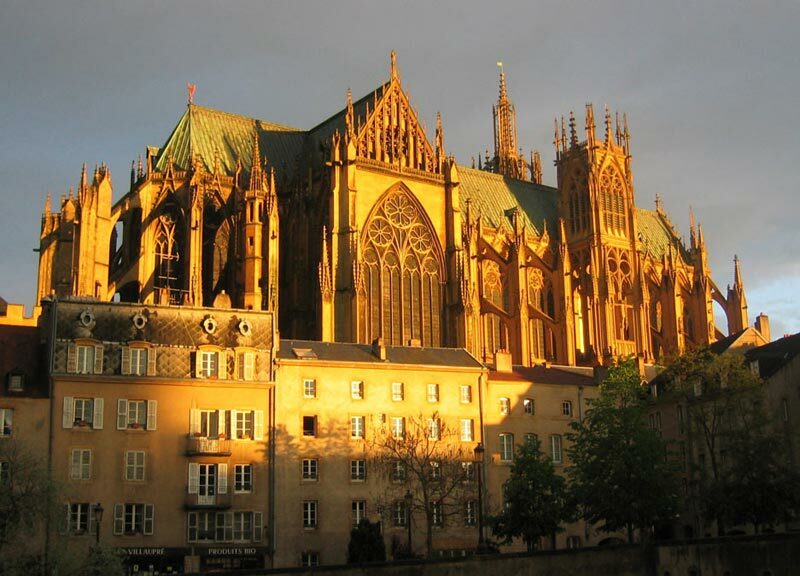 Photo of Metz Cathedral via Wikipedia user Baal77.